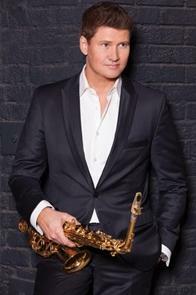 *Saxophonist Michael Lington, whose new CD “Soul Appeal” has held the number one spot on the radio charts for the past 13 weeks, will perform at the Long Beach Jazz Festival, Saturday, August 9th at 1:00 pm. The festival will take place at Rainbow Lagoon Park on the back side of the Long Beach Convention Center on Shoreline Drive at Rainbow Lagoon Park. General admission tickets are $50.00 (prior to August 2nd), $55 at gate. VIP tickets are $190.00 (includes dinner and wine) $195 at gate, box seats are $80.00 ($85 at gate). For more information, call Rainbow Promotions(562) 424-0013 or visit www.michaelington.com. Lington blazes a fresh, innovative road with “Soul Appeal” a freewheeling immersion into the heart of the 60’s and 70’s Memphis Soul vibe. From his 1997 self-titled breakthrough album through 2012’s star-studded “Pure”, the charismatic saxophonist has wowed and surprised his fans before. But he’s never played more loose, solo’d more intensely, or improvised this expansively. All of Lington’s seven previous acclaimed albums, countless hit radio singles and hundreds of awe-inspiring live performances over the past 15 years are simply a prelude to the fresh energy and live-in-the-studio excitement Lington created at Los Angeles’ legendary Sunset Sound with veteran R&B/pop producer Barry Eastmond (Anita Baker, George Benson, Billy Ocean, Yolanda Adams), Engineer Ray Bardani (Luther Vandross, Beyonce, David Sanborn) and a handpicked group of his favorite musicians. These include a core pocket of Freddie Washington (bass) and Teddy Campbell (drums), organist Shedrick Mitchell, guitarists Paul Jackson, Jr., Ray Parker, Jr., Phil Hamilton and percussionist Lenny Castro. Eastmond contributes to the retro sound with Fender Rhodes, Wurlitzer and piano. “Soul Appeal” features nine vibrant, hip and contemporary, yet retro-cool originals (all co-written with Eastmond) and imaginative re-workings of the King Curtis classics “In The Pocket” and a blazing, horn section infused “Memphis Soul Stew.” The latter includes a playful rap by Campbell that approximates the way Curtis introduced each instrument into the mix on the original recording. “Soul Appeal” also includes two fresh vocal ballads with renowned Grammy nominated vocalists that take everyone back to the days when Sam Cooke and Wilson Pickett reigned: “Gonna Love You Tonight” (featuring Kenny Lattimore) and “Leave Me You” (co-written and sung by Ryan Shaw). Lington, who became a U.S. citizen in 2008, has performed numerous times for the Danish royal family, including the wedding reception of Crown Prince Frederik, the country’s future King. Additionally, he has done extended stints as a special guest with many other musical superstars, including Barry Manilow, Bobby Caldwell, Randy Crawford and Michael Bolton who he toured with for the past three years. On Bolton’s tour, he played more than 300 shows in over 50 countries. “What made this recording so magical was that I was there in the trenches with the band for the entire process, working out arrangements and parts as we went along. I wanted to just completely let go and let it flow all the way – which opened me up and liberated me as a player. The result might not be perfect in the conventional sense, but it’s not supposed to be. This record is all about feel and vibe,” states Lington. The Eastmond/Lington instrumentals on “Soul Appeal” begin with the jamming and funky, classic Stax-flavored opening title track, whose swirl of vibrant sax melody, brooding organ and sizzling brass sets the stage for what Lington proudly calls “a different kind of ride.” He calls the infectious and bluesy, easy rolling “Taking Off” “the centerpiece of what we were trying to achieve, the twang of the Memphis vibe,” while as its title promises, “Uptown Groove” finds Lington soaring over organ and Rhodes in a brass fired landscape James Brown could groove in. The silky and romantic “Manhattan Nights” blends Lington’s torchy sax lead with a weepy lead guitar line and solo by Phil Hamilton that’s reminiscent of the great Steve Cropper’s work. After another emotional and bluesy ballad, “Going Home,” Lington and company swing back up for the jaunty funk-shuffle “Double Down.” “Soul Appea”l wraps in a gorgeous stripped down, heart on the sleeve place, with the beautiful Eastmond-Lington piano-sax duet “Follow Your Heart.” This was recorded almost as a bonus track after the sessions wrapped and everyone else had gone home. Lenny Castro, whose thousands of recording credits include Sanborn, The Jacksons, Eric Clapton, George Benson and Elton John, thanked the saxman after the sessions with the words, “My soul is so musically satisfied. Still riding high on the charts, Lington’s second single from the acclaimed “Soul Appeal”is set to be released in July.